As a parent, any birth defect is one too many, but this study by Michael Hendryx, like his others, has been falsely presented as an indictment of mining. Some have suggested, including the author, that this study shows some link between mining and the incidence of birth defects, but let’s look a little more closely at the data and the way it was presented. I think this shows clearly that this study, and the others coming out of Hendryx, Downstream Strategies and other such groups, is little more than propaganda masked as science. First, when you look at the DHHS birth defects report you find that the incidence rate for West Virginia as a whole is 24.1 per 1000 births and more than 37.7 per 1000 births when congental issues causing death are included. That means that the “mining area’s” incidence rate for birth defects was actually LOWER than the state average and SUBSTANTIALLY LOWER than the state average when all birth defects are included. Also, when you look at the CDC data for the United States as a whole, you find that the incidence rate nationwide is 33.3 out of every 1000 births — far higher than the rate found in the “mining areas” identified by Hendryx. Were these numbers mentioned in Hendryx’ “study?” Why not? He should have seen them. They are readily available for anyone to find on the web. If not, then what does that say about his entire body of work? The reason, to me, is clear. Including these data points would have disproven the hypothesis he was intent on proving from the start. Hendryx chose two very small sample populations, with a geographic distribution that would make the Legislative Redistricting Committee cringe. … As a result, he got the results he wanted BUT the broader data for the state and nation clearly shows this to be a use of science and statistics as nothing more than propaganda. 14.4 per 1000 births in the identified non-mining area. 37.7 defects for 1000 births with congenital issues leading to death included. This same skewing of data is evident in the Hendryx “study” of health effects. I could go into this in depth as well, but I am afraid I would put everyone to sleep. Suffice it to say that the cancer incidence (cancer being perhaps the most environmentally-sensitive disease today) shows no evidence of mining being a causal factor in its development. Rather the rates of specific types of cancer show wide geographic spread across the state, with a higher state baseline BUT no appreciable difference between traditional mining and non-mining counties. If mining were, indeed, the causal factor one would think there would be substantially higher rates of cancer in mining areas and significantly lower rates in non-mining areas in order to arrive at the higher state baseline. Even Hendryx is careful to say his studies only “suggest correlation” and not “causation.” As noted in a previous column, I am reminded of the classic study that showed a correlation between the sales of ice cream and the murder rate in Houston. The study suggested a strong correlation between sales of ice cream and the murder rate. Obviously eating ice cream didn’t cause people to commit murder, rather it was that sales of ice cream increased in the heat of summer, when people were out and about, in closer contact, and combined with the heat of summer it led to anger outbursts and other factors that increased the murder rate. Ice cream sales and murder were correlated but there was no causal relationship. 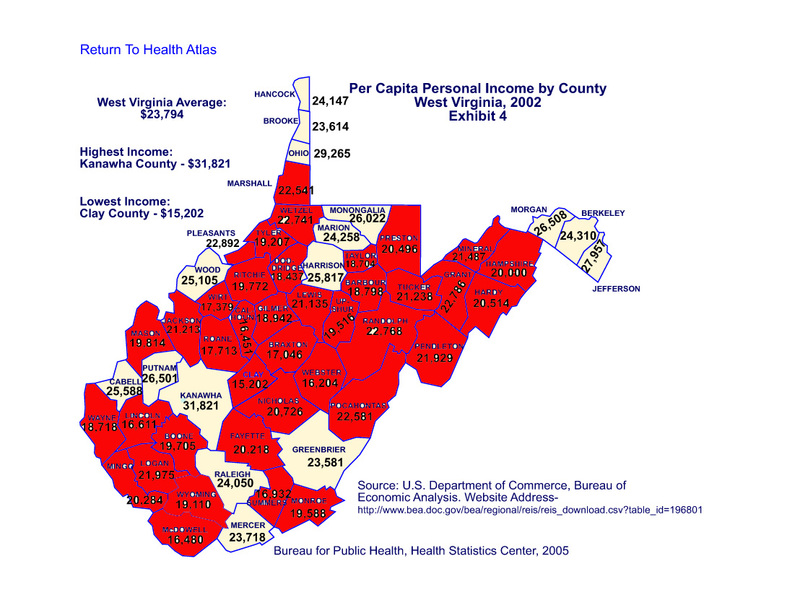 In the most recent study, one performed by Downstream Strategies, one of the real causal factors for both the birth defects and the broader health issues confronting West Virginians is clearly shown — the level of poverty seen in our rural areas. Combined with our poor diet and lack of exercise (confirmed as a causal factor in study after study) poverty pervades most of the rural counties of our state. Downstream Strategies, itself, suggested that in many of these counties coal mining accounts for more than 25 percent of the county economy as well as the best jobs available for county residents. In many of these counties the mining industry accounts for a much greater portion of the economy. If you have a job, you either work as a miner or your job depends on mining in some way. In some of our counties upwards of 80 percent of the county’s tax base comes from coal. As we say, one of the most effective prescription for good health is a good job. The coal industry today provides more than $3.4 billion a year in payroll in West Virginia alone. It contributes $26 billion each year to the state’s economy and this year coal severance taxes will top $500 million alone — much of it going to these rural counties to provide help to the unemployed and support people-helping programs. Without the coal industry it is likely these counties would not be able to pay their bills, to keep teachers, law enforcement and basic services going or keep the doors of social programs open. We all believe it vital that West Virginia fully develop and diversify its economy, especially the southern coalfields where they don’t enjoy the benefits enjoyed here in Wood County — flat, developable land, location near navigable streams and good highway access, or even access to quality hospitals and medical services. But I can assure you that while coal mining is NOT the problem it CAN be part of the solution. Working together with the coal industry, with proper planning and cooperation, local and state economic and community development officials, can overcome perhaps the greatest impediment to development — the geography that is both our blessing and our curse. It is our mountains that have shielded us and protected us, even as they severely limited our economic development. Coal mining — and yes, large scale surface mining — can provide the flat, developable land that these counties so desperately need to diversify their economy. It is happening now — in Mingo County and Logan County, in McDowell County and Raleigh County. As a state, we haven’t done enough but the answer is there in front of us. All it takes is planning and cooperation. We have to make full use of ALL our available resources and mining is just that — it provides good jobs today and a bridge to a new future.